Upper Las Virgenes Canyon Open Space Preserve (formerly Ahmanson Ranch) is a rustic, natural, outdoor wedding venue in the hills of Calabasas. The DIY, vintage decor at this wedding felt right at home in this Los Angeles venue's environment. 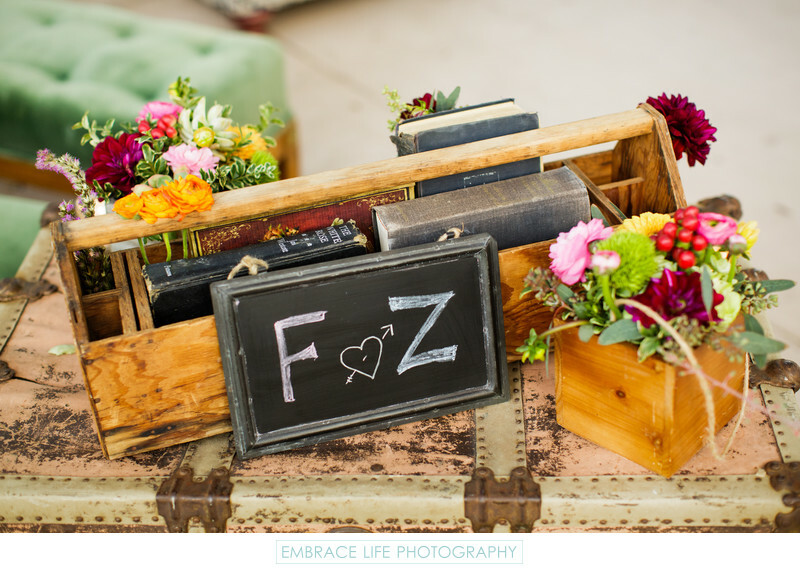 Seen here is an old, wooden toolbox full of vintage books and cute flowers atop a vintage trunk, marked with a chalkboard sign featuring the couples' initials.